Apple iOS 12 is designed to make iPhones and iPads work faster along with a whole lot of new exclusive features engineered for better AR experiences, Siri, meaningful Memojis, smarter photos and more secrets revealed. After a wave of rumors around what features and enhancements will be a part of the iOS 12, the WWDC event that has started at the keynote of iOS 12 has cleared up the air. In the software-focused event, most of the stage time was dedicated to iOS 12 version and other Apple’s operating systems. According to the iOS 12 timeline, the iOS 12 beta that’s jam-packed with loads of features is already rolled out for testing, and the final public launch is expected to see in the autumn. When it comes to compatibility, the iOS 12 is the broadest update yet that will support 11 different iPhones and 10 different iPads, that goes way back to iPhone 5S and iPad mini 2 generation. The upcoming release is not packed with any major change that overwhelms the users, but it contains small changes that add to the much-improved experience in terms of performance, maps, photos, Siri, augmented reality, voice memos and healthier smartphone usage steal the show. 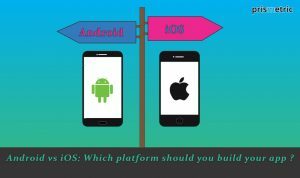 The new additions are sweeping for the developers that have offered a glance at the future of Apple to be prepared for the apps to launch and features to integrate. In order to make the iPhones and iPads fast and highly responsive, the substantial changes are made in iOS 12 that double down on performance, as stated by Craig Federighi during the event. With the latest update, the apps loading gets 40% faster, opening the camera gets 70% faster, keyboard display up to 50% faster and share sheet appear twice as fast. The performance will get ramped up when needed, such as during load and then ramped down to preserve the battery as a part of the ‘Optimizing the system under load’ initiative. Theoretically, it sounds good and the rest depends on what developers say after testing. ARKit- the AR SDK launched to create brilliant AR experiences through iOS apps, is made more powerful than before with new additions and improvements. Teaming up with Pixar, Apple designed USDZ file format that allows the developers to create graphics-rich 3D content which works seamlessly across all supported devices. The persistent experiences can be crafted where the AR content tied to a real-world object can be saved and accessed repetitively without opening the app. With shared AR experiences, the two users can see the same augmented virtual content on the two different devices with the same perspective. Here, the example of Lego fits best where the two different people can view and manipulate the AR Lego world at the same time on two distinct devices. The measure app in the ARKit that can be considered as a replacement for measuring tape or ruler to precisely measure the walls or objects. By just putting the camera frame in front of the object, the app will detect shape, and when you tap and drag out a line, it measures the dimensions. With 3D object recognition, the ARKit identify the object and its orientation with respect to mobile to trigger the brilliant AR experiences. The face tracking and realistic rendering have got better, in addition to scene reflection where the virtual objects, even reflect the real-world scene in the camera. 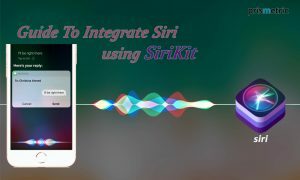 The intelligent suggestions are made by Siri after analyzing the daily activities and the app usage patterns. For instance, based on weekend food orders, it may advise repeating the order; when you are late for the appointment, it makes suggestions to send the text message to the person to meet; when your friend’s birthday is coming up, it suggests sending him a text or making a call. With the built-in translation, Siri can translate from and to 40 languages for the best response. In other enhancements include- checking the celebrity facts, getting answers from the USDA database for questions about food, and watching live schedules, rosters, stats and standing for Motorsports. In addition to the new design, the app is renamed as Apple Books. A new section named Reading Now is added where the users can keep track of the places where they left off the reading in the multiple books. Also, the suggestions for other books of different categories are made to help the users easily explore the books. In the redesigned library section, the users can see their entire collection of the books. The new bookstore can be visited to browse and buy the latest collection of books displayed under various tabs. The built-in stock app is completely overhauled with a new look to keep the user informed about the stock market deviations at a single glance and view and keep track of the stock prices in the customizable watch list. Besides, tapping on any stock provides its detailed view and the related news from the company. It’s made compatible with iPad where after-hours stock prices and the news related to current investment from Apple news app curated by the Apple news editors will be shown. The animoji have already thrilled the users in iOS 11 with 10 seconds of recording, but iOS 12 has reinvented animoji experience with improved face tracking, clip recording increased to 30 seconds, and a huge set of customization options. The new kind of animoji- memoji allow the users to create their virtual avatar that fits well with their personality and mood. The users can capture the photo, and create a unique character choosing the appearance, skin color, hairstyle, nose, eyebrows, and other accessories. The improved face tracking can now recognize the wink or the tongue stick out, and use the same in animoji. Plus, the images or videos captured can be jazzed up using different shapes like- heart, stars or arrows. There is no limit put on the memojis that users can create, and share during Group FaceTime or message conversation. The feature is improved with the capability of including up to 32 people in a video chat or audio chat session. In the Group FaceTime session, the faces of all the participants will appear in the form of tiles and the tile of the person speaking will automatically get larger to easily distinguish who is speaking at the moment. The new participants can be added during FaceTime session where a silent notification is sent to them to join the conversation. During the session, if the users are getting bored, they can use animojis or memojis. The Group FaceTime video calls can be answered on iPhone, iPad, and Mac, but on Apple watch and HomePod, just audio chat can be done. Maintaining a fine balance between the personal devices and personal lives is all-important. With the point in mind, the new tool- screen time is introduced by Apple for the iOS users to better understand and make decisions for how much time they should spend on apps. The screen time section illustrates the users about how often they use the device, spends time on specific apps and the categories under the apps, and other additional details in an interesting way. Along with a detailed description for mobile usage, the time spent on the devices can be reduced with the new Do Not Disturb mode that’s designed for bedtime where the notifications are hidden and the screen turned to grayscale for the pre-set bedtime. The DND mode can also be activated when the users are busy in meetings. Moving forward, to put the limit on the app usage, the time limit can be set for the apps where the users will get the notification when the time set for the app usage get elapsed. When Downtime is activated, the users cannot access anything other than the phone calls or apps they have chosen. The screen time, downtime and app limits are the best tools for the parents to keep an eye on the kids in regards to how much time they spend on which kind of app. Also, they can restrict certain types of apps, prevent purchases, and set privacy controls. The attempt to catch up the Google photo, a lot of new additions are made to the Apple photo app. The queries typed to search the photos get auto-completed with smart suggestions when the users start typing. 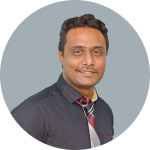 With intelligent search suggestions, the users will get the personalized suggestions for the recent photos captured on the recent event or place even before they start typing. Moreover, the user can even search for the photos based on the places where they have taken. The ‘For You’ tab becomes a central repository for all the photos captured recently and shared with the friends, and provide intelligent editing options to add a new flare to the photos. Also, the users get the suggestions to share the photos with the people who are in them. The Apple CarPlay users are not necessarily familiar with the Apple maps while driving to get the directions. The mandate to use the Apple maps sometimes irks the users. That’s the reason Apple has provided the support for the third-party navigation apps like- Google maps and Waze to allow the users to use the navigation map with which they are most acquainted with and drive nicely. Similar to every preceding iOS version, in iOS 12 also, Apple has integrated new tools and offered new features to make the iOS device and apps robust secure. In the series of additions, the strong and unique password will get auto-generated for every app where users need to create a login and Siri will open the list of all the passwords that are synced with various Apple devices. With password auditing, the weak passwords will automatically flag and right option is provided to make the password secure. During security code autofill, the users are no more required to memorize the OTP with autofill suggestions. The tracking prevention in Safari won’t allow the sites to track the users without their permission. Apple always makes the announcements when the long-term plans are ready at the back. The features coming with iOS 12 release are not the result of the Apple team sitting with a blank sheet after iOS 11 shipping, while everything was completely planned ahead of the time, and just the rumors were circulating around them. Now, the WWDC event revealed all the secrets. 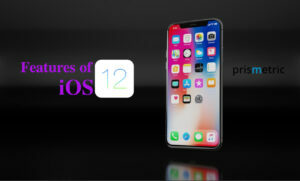 The wrap of iOS 12 features, which are expected to make their way on the devices later this year, will definitely enrich the iPhone and iPad experience by making the devices more powerful, faster, responsive and delightful. Presently, iOS 12 in a beta capacity is available for the developers and beta testers to try the new software and explore how they can experiment with the new features and bring this addition to the app when the final build of the iOS 12 make its public debut. Just wait and watch how much the iOS 12 lives up to its much-created hype and the user’s expectations.